A reliable source for Industrial Vacuum Cleaners information and a resource for accessing leading Industrial Vacuum Cleaners and suppliers. Industrial vacuum cleaners are machines that create a vacuum in order to collect unwanted solid and liquid materials from surfaces. They are “industrial” because they are designed for use in manufacturing facilities, construction zones and other high demand areas. Industrial Vacuum Cleaners Industrial vacuum cleaners are machines that create a vacuum in order to collect unwanted solid and liquid materials from surfaces. They are "industrial" because they are designed for use in manufacturing facilities, construction zones and other high demand areas. Industrial vacuum cleaners are used for cleaning in manufacturing facilities to pick up materials such as fine powders, abrasives, explosive media, litter, non-free flowing media, metalworking chips and fluids, toxic media, coolant and oil mist and welding fumes. 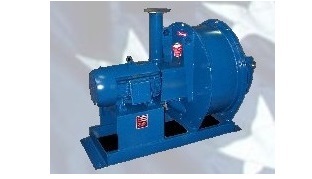 Industrial vacuum cleaners are also commonly used as solutions for reclaiming, recycling and spill recovery. They are often equipped with large waste storage enclosures that can cut down on the number of times that emptying is necessary. Most manufacturing facilities require vacuum cleaners to maintain facility cleanliness. In particular, woodworking, metal fabrication and other operations that produce large volumes of debris need vacuum cleaners for high-capacity debris removal. 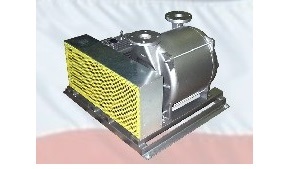 The vacuum equipment used by a given industry can vary widely in terms of size, configuration and application. Canister vacuums, walk behind or rider sweepers, backpack cleaners,continuous duty vacuums, explosion proof vacuums, vacuum cleaner trucks, HEPA vacuum cleaners and central vacuum cleaners are just a few of the industrial vacuum configurations available. Auto vacuums, which are made for vehicle cleaning and used at carwashes and automotive service departments, can be either stationary or portable and use attachments designed specifically for cleaning vehicle interiors. Central vacuum systems are large vacuum cleaners used in large buildings like colleges. They are usually mounted in a remote area and connected to a network of ducts built into the building. Inlets at intervals in the ducts allow for the connection of hoses and vacuuming attachments. Industrial vacuum cleaner manufacturers offer filters that can handle dry or wet material, and some systems handle both. Even within a given vacuum cleaner category, there are variations of design and specification; customers consider each of a given machine's specifications in advance of purchasing industrial vacuum equipment. Airflow is the velocity of the air stream produced by a vacuum cleaner's motor. Some applications call for higher-airflow vacuums than others. Another important consideration is means of vacuum generation.